Red, white and blue...the classic colours of summer. If a long sleeve rashie isn't yet your thing, then give a short sleeve a go. It's better than not covering up and protecting your precious skin from the sun at all! Great for hot sunny days on the boat, at the beach and in the pool. Get amongst it girls and have a wonderful summer! We love that Coola Cozzies is an inclusive range offering sizes 10-24 in everything! Team this colourful coverup with just about any coloured bottom or swim short. 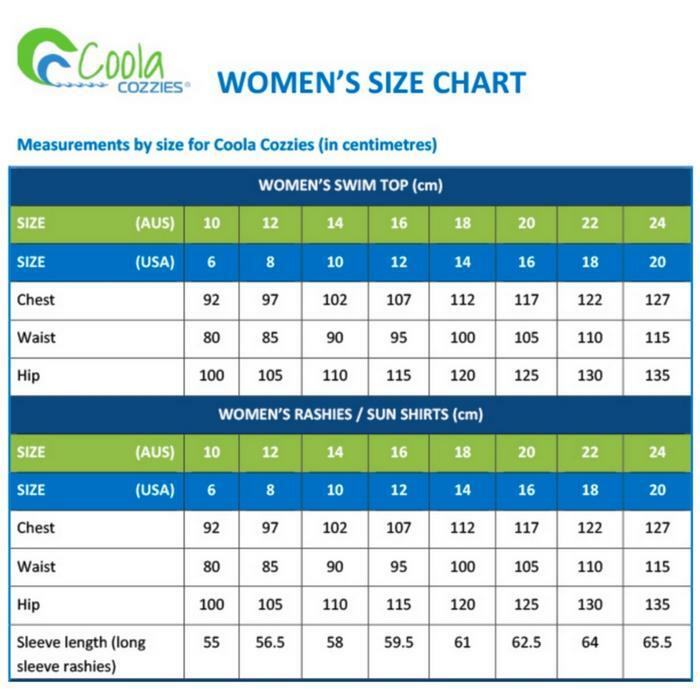 Size - Available in sizes 10-24; Please refer to the image below for the Cool Cozzies Size Chart. The rashies and swim tops are made from 82% polyester and 18% spandex. 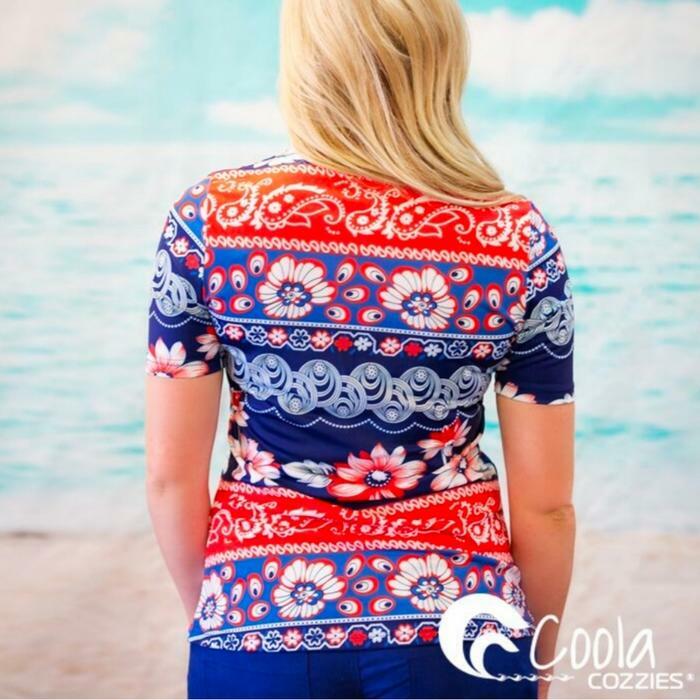 Coola Cozzies are 'drop shipping' this for us from outback Qld which means you order here and they will dispatch directly to you. It will take an extra day (maybe 2) express post from there so please consider that when ordering. 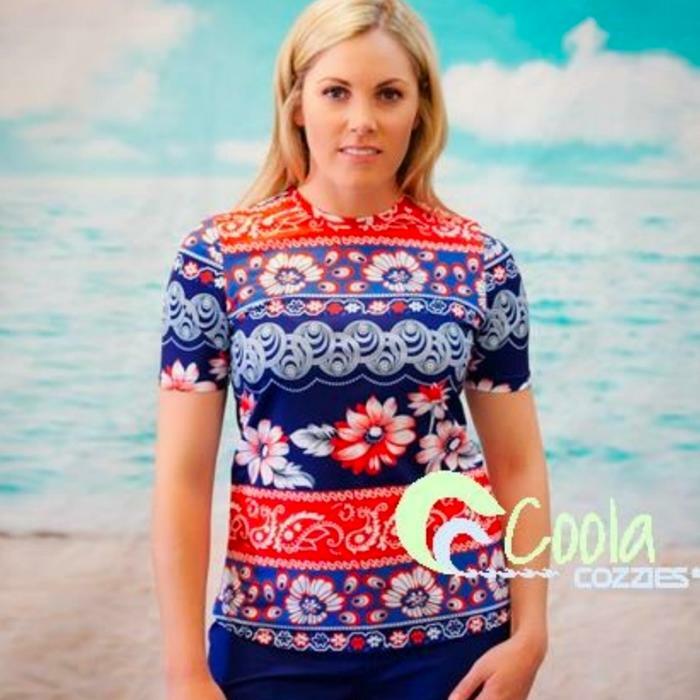 The same S&S Returns policy applies and we will co-ordinate with the Coola Cozzies team to organise any swaps you might need. We really wanted to get this awesome small Aussie label up and out there and this was the best way to start to do just that. Any questions, please Contact Us girls.